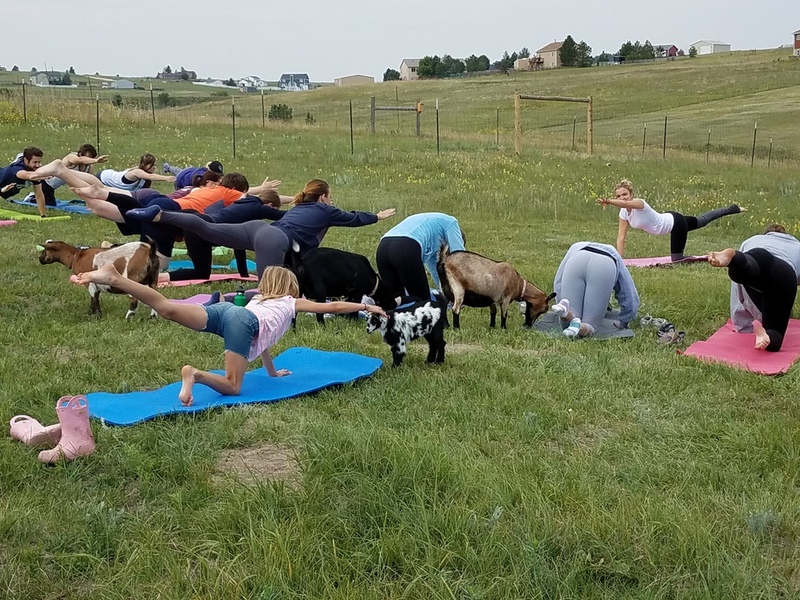 We are so excited to host Goat Yoga at our farm! 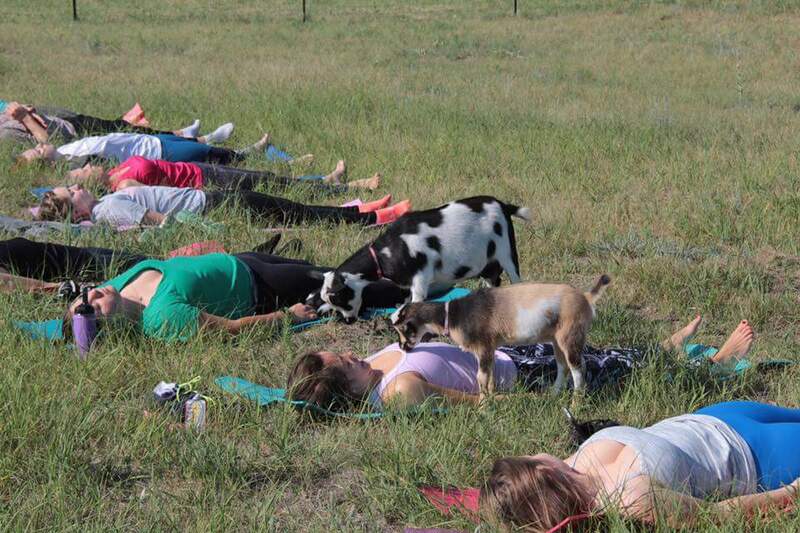 Goat Yoga is the perfect way to start your morning. Set in our scenic rolling hills of northern Colorado Springs, you are sure to be uplifted! Great for individuals, couples, families and groups. Bring your team or work department for a fun stress reducer! Come, have fun, breathe the fresh Colorado air, take pictures with the goats and revive your soul. These classes sell out quickly, so please sign up soon! ***We offer private classes! Schedule a class with just your friends, your co-workers or your family! If you have questions, please contact Shannon at 303-908-1247 or shannon@purifiedcolorado.com. Spring 2019 Classes starting in MAY!! Scheduled classes are below. Please click on the link to sign up! 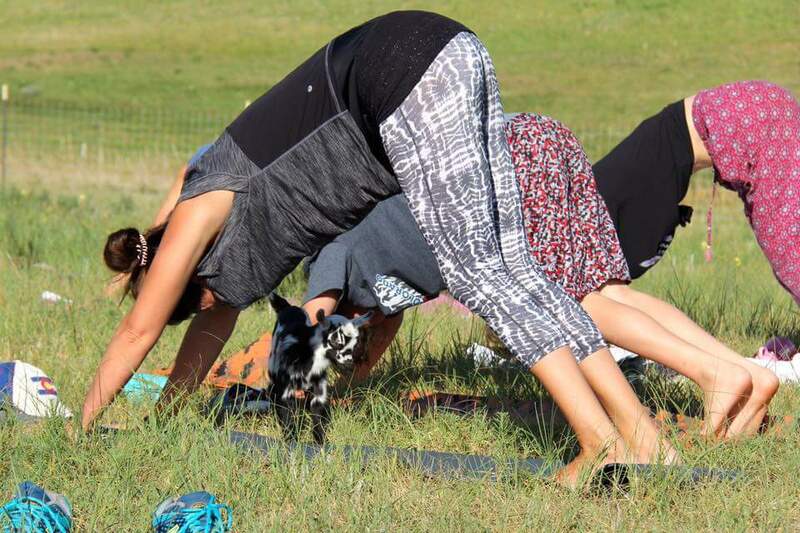 Here are some helpful tips for an enjoyable goat yoga experience! *Wear layers to be prepared for Colorado weather. *When you arrive, I will be out front to collect your waiver and guide you where to go to park. *HAVE FUN!!! Currently, they are 9 baby goats on site!! 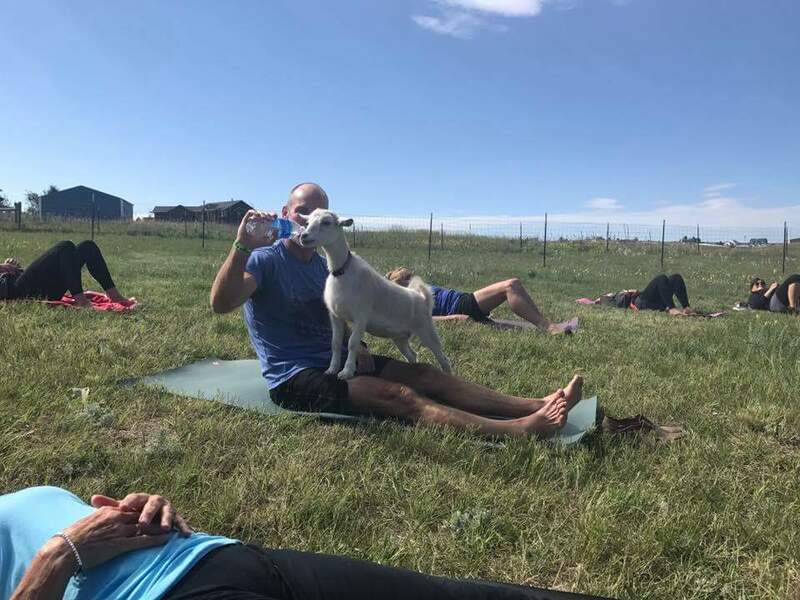 *Find Purified Colorado Farm on Facebook to see pictures from your Goat Yoga class and/or tag us in your photos! 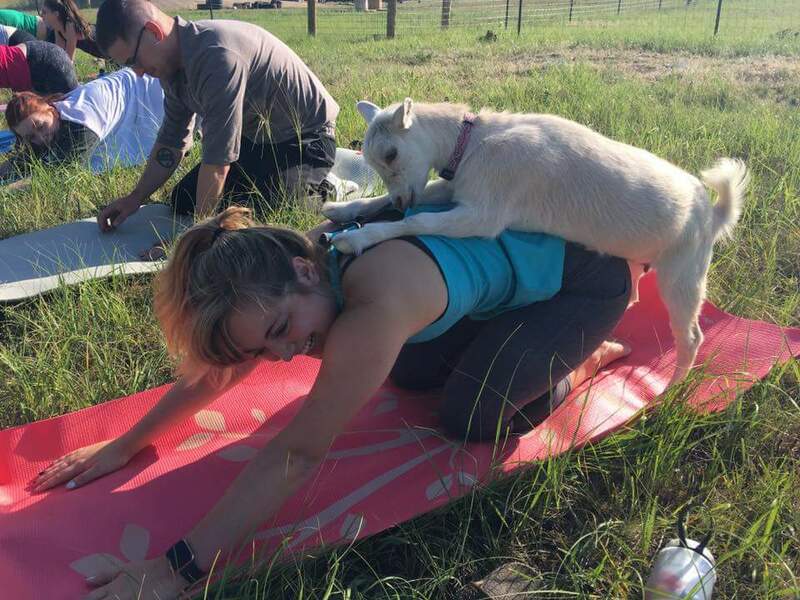 Please print and sign our Waiver of Liability for Goat Yoga and bring with you to class! One form per family, but please list each participant and age. If participant is over 18, please have them sign the form as well. Thank you!